Here you will find our musings on a variety of topics related to vocabulary, linguistics, morphology, spelling, grammar, and whatever else we find interesting! Dynamic Literacy, publishers of WordBuild, WordBuildOnline, and Words That Matter, is a company dedicated to solving the illiteracy crisis in the United States and beyond. The newer entries are by R.D. “Doc” Larrick, Ph.D., and some of the older ones are by Jerry Bailey. All entries have been or will be published in the Dynamic Literacy newsletter, Words Matter. Doc received his BA with High Distinction in Greek and his MA in English from the University of Virginia, where he was named a Woodrow Wilson Fellow and elected to Phi Beta Kappa. He did graduate work in Norse, Danish, Middle High German, Runic Inscriptions, and Anglo-Saxon with the Medieval Studies Program at Cornell University before joining the Humanities Program at Florida State University. There he earned his interdisciplinary PhD with emphasis on Greek and Latin literature. 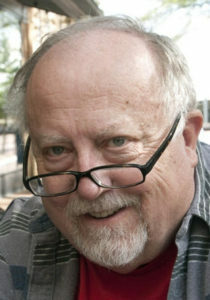 His academic interests include the history of the English language; the evolution of Romance languages from Latin; Old and Middle English literature; folklore and ballads; Old and Middle High German literature; Norse sagas and Edda; 19th Century Romanticism; and Germanic, Latin, and Greek linguistics. He retired after 35 years of teaching.